The Indonesian galleries are probably the safest area of the Museum, and I don’t say this because there are nearby fire extinguishers or emergency exits. These rooms, particularly the south Indonesian gallery, are protected by a multitude of ferocious animal guardians. The aso is a mythical animal that combines the strengths and characteristics of a dog and a dragon. 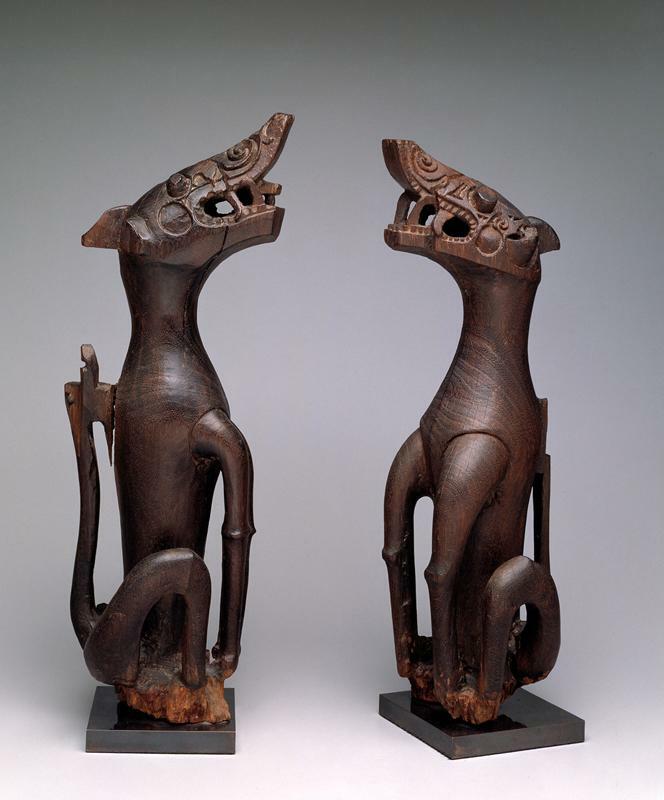 This pair of aso, carved from wood, are both regal and elegant with their upright, smooth bodies, and yet intimidating with their dragon-like spirals and bared teeth. 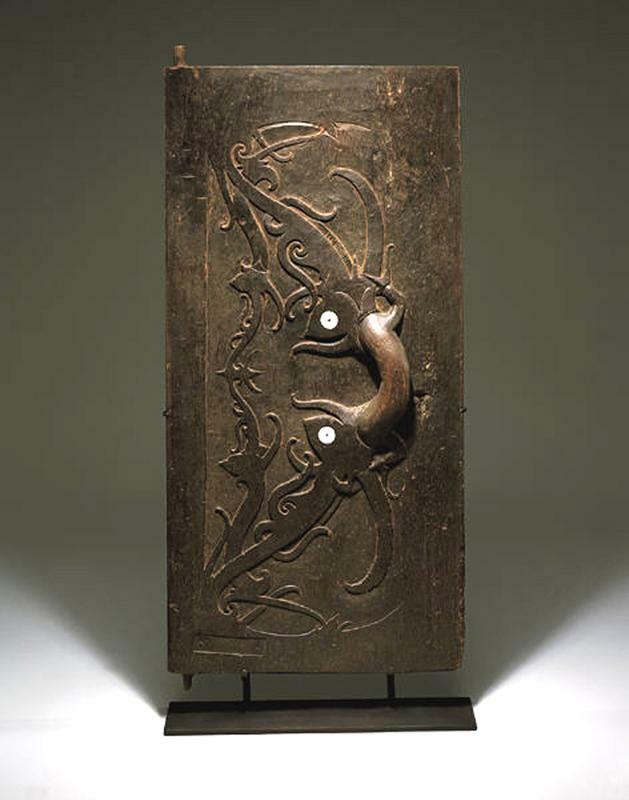 The body of two conjoined aso form the handle of a door, which served as a protective barrier in a traditional Kayan longhouse. One more work of art, not pictured here, also features carved aso. Come to the DMA and look for the aso‘s signature spiral forms, serrated teeth, and ivory eyes. If you visit during a week that the Pop-up Art Spot is stationed in the south Indonesian gallery (for instance, July 9-14), be sure to pick up a scavenger hunt so you can find the other animal guardians in Indonesian works of art.